Still trucking along in my reading over here. Slow but steady! This past month we went on a two week trip to South Korea which was really amazing and allowed for some concentrated reading time. (That's a long plane ride!) Now we're back and "settling in" to life again - which has not been without a few stresses - and I'm looking ahead and this next month's reading plan. At the start of this year I figured that assuming I could read three books a month was probably doable, alongside one read-aloud with the kids. So far that's working, so I'll try for that again during the month of April. The Search for the Delicious, by Natalie Babbitt with my kids. (The title is linked to my review.) We read it and loved it. 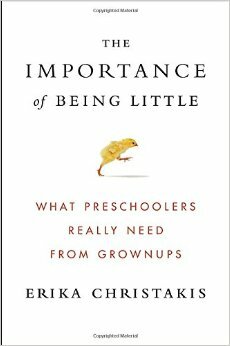 I can only continue to highly recommend the read to you and yours! Vittoria Cottage, by D.E. Stevenson. I read it on the plane and loved it so much that I also read the second and third books in the series. Reviews forthcoming! 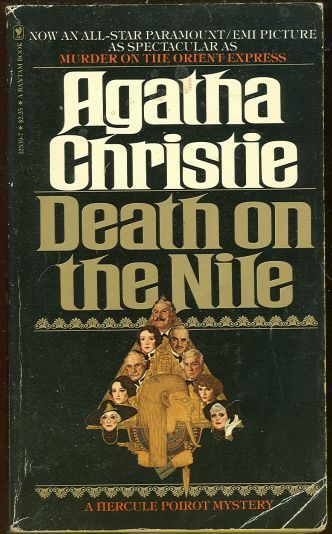 Death on the Nile, by Agatha Christie. That didn't happen, so I'll bump it to the next month. As it turns out, I exceeded my quota for books last month. That gives me a warm and happy feeling inside. It was great fun to read through not one but two entire series in "one sitting" as well. That doesn't usually happen! 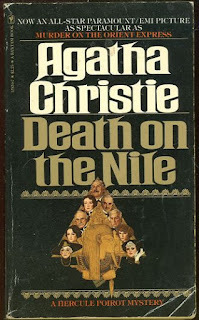 Death on the Nile, by Agatha Christie (bumped from last month). The Pursuit of Holiness OR True Community by Jerry Bridges. I can't decide which. I read a lot of Bridges' books in my teens and held onto my copies. I haven't read them in a decade or so and have been feeling a tug of late. I'm between these two titles at the moment. As for a read-aloud with the kids, Jonathan started reading Harry Potter and the Sorcerer's Stone to them while we were in S. Korea. We got far enough along into it that I think we should finish it up. We've taken a week's break from anything but play so it's time to dive back into the books! 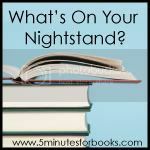 These titles are what's on my nightstand. What's on yours? Good work on exceeding your goals! Somehow I didn't "discover" Bridges until the last few years - I had heard great things about him but had just never picked up his books until then. I would like to read more of him at some point. 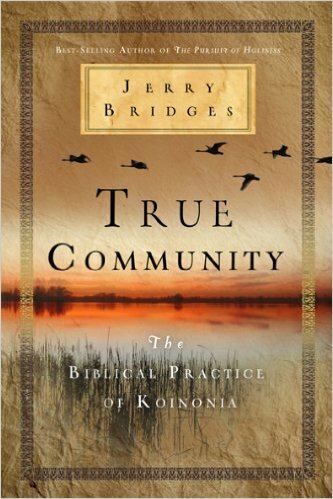 I loved the Pursuit of Holiness and read one more by him, but I haven't heard of True Community. It's drawing me as well. I have that exact same version of Death on the Nile sitting on my need-to-read pile! I probably wasn't going to get to it quite so soon as this next month, but plan to read it this year at least. Oh, and I thoroughly recommend reading The Pursuit of Holiness... Probably got to read it about 5 years ago now, and it instantly became an all-time favorite. Hey, Carrie. Did you know that Jerry Bridges passed away a few weeks ago? He actually went to the church I grew up in--such a small world! I assume you'll have another trip to SK in the hopefully near future? Wow, a 2-week trip is a big deal! I have never been to Asia; I hope you loved it! All 3 of my girls loved the HPotter books. Me, I read the first and it just wasn't my thing, although I am still hearing from them about that. I love Agatha Christie. I don't think I've read that one though ... oh, and from my place -- I think you'll love Half Broke Horses (I did, at least!). How fun to travel to South Korea! -2 weeks doesn't seem long enough, was it? Both of Jerry Bridges books are ones I want to read with True Community being the first one I would like to dive into, I think. Ah....Harry Potter, I so love those books same for my 18 year old daughter. She and I have determined that it is time to introduce Harry to my 9yr old (soon to be 10 ) daughter. My 18 year old is thrilled that the 9 year old will be starting the Harry Potter journey. The trip to South Korea sounds awesome! I would love such a long flight for exactly the reason you mentioned - reading!